Welcome back gang, this week I’m doing an article on How to Relax for an Anxious Swimmer! Many newbie swimmers come to me with long lasting childhood founded fears of the water and how dangerous it is to them. Perhaps they were left alone by a pool edge when they fell in. Or simply they had a mean friend who held them under the water as a prank for a few seconds too long. I imagine if you’re reading this article, anxiety in and around the water is having its way with you too. And what I’d like to tell you is that we can gain immediate power and control over that fear if we do a few simple things. So simply, set a goal and have the reasons why you will achieve this. Simple I know. 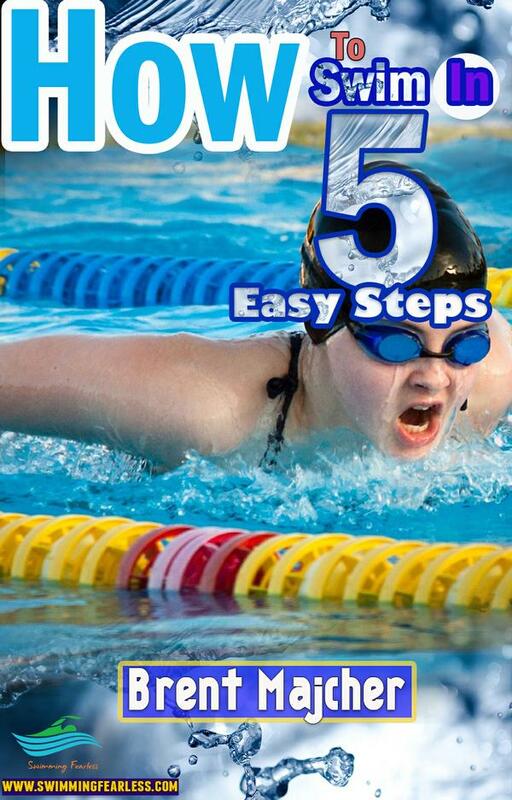 How to Stay Motivated while learning to Swim! On to my more practical and applicable advice, step 2. Once you have a set goal, you can use my techniques to build positive experiences in the water which will ultimately vanquish your fear. My best techniques for relaxing yourself can be used so that you can move past your anxious swimmer phase. I’d like to make a comment before you continue through this article; treat all of these as seriously as possible. They all have proven scientific proof towards their efficacy and if you want to gain life-changing impact from this article, then you need to treat them as such. There’s a good reason why there’ll be thousands of seminars running in North America this year teaching breathing techniques. Breathing deeply has a massive impact on your emotional state along with your physical health. Taking nice deep breaths into your deep belly or pelvis will have an instant impact to your mood. Try it right now. Assess how you feel, notice the kinds of thoughts you’re having and how intense the feelings are on a scale from 1 to 10. And then do 10 deep breaths into your belly. Try and make the inhale last at least five seconds. And even pause for a second or two before you exhale. And afterwards reassess how you feel. I absolutely guarantee this…. that if you were stressed about a colleague at work or if you have bills that are really weighing on your mind, you will notice that the worry is still there, BUT, it has less impact. The emotion that was an 8 is now a 6 or 7. That might not sound impressive, but it is. Imagine being able to lessen the impact of any stressful event in your life by 1-2 levels. That gives you real control over the impact something has on your life. And if you are an anxious swimmer, you can bet this will begin to make getting in the water easier for you. This has been the best self-help lesson that I have learned in the last decade of my life. It’s my personal and professional opinion that there is no single activity you can commit to every single day (other than regular physical exercise) that will have a more beneficial effect on your life. Science is now proving that meditation has a profound impact on your ability to handle stressful events, become a better communicator, relax, get a deeper sleep, and hundreds of other benefits. All you have to do it commit to regular practice every day. The practical impacts that you will notice regarding swimming and being an anxious swimmer are as follows. You will, like belly breathing, notice that anxiety levels don’t disappear. But they become tolerable and are less intense. Anxiety levels of 7 or 8 will drop and become a 5 or 6 if you commit to regular meditation for 10 minutes a day. The type of meditation that I believe is impactful is called Mindfulness Meditation. This type of meditation means that your goal is to clear (or limit) your thoughts so you are of “no-mind” and to focus instead on the sensations of your body and the experience that your body is having in the world. Begin by focussing on breathing In and Out for ten minutes. Try and think about only those two things. In. And out. Breathing in and out. And when you notice thoughts appearing, bring it back to In and Out. Move your focus over time towards how your head feels, what your body is feeling, and even other senses such as taste, smell, and sounds. And instead of putting words to the feeling, just try and notice that there is a sense that you are experiencing and just notice the feeling that comes with the noticing. Begin by meditating focussing on the breathing. Move into noticing the different senses in your body. And then notice that all of the thoughts coming from your brain are really just another thing distracting you from paying attention to your body and being 100% present in the moment. When I began to truly realize this, I found I could achieve true “no-mind” where I wasn’t thinking and I could achieve a state where I truly felt calm. This process needs to be practiced over the long term, over weeks. Not in the same evening. And again my own progression may not work for you. Regardless over how much my method worked for you, I would still encourage you to pursue other teachers of this subject so that you can gain this skill because for an anxious swimmer like yourself, the benefits can be massive. Science has now proved that there is a link between the body language you pick and your emotional state at any one time. If you are clenching your jaw, pulling your shoulders up towards your neck, or even not standing up straight, your emotional state will not be where it could be. If you are able to make changes to your body language and have that kind of an impact on your nervous system, then why shouldn’t we try and do the same? If you are an anxious swimmer, before you go to the pool and practice, try this. Stand up straight and try pulling the back of your head back and stand as tall as you can. Pull your shoulders back and fix your posture! Then go and look yourself in a mirror. Make a big, big smile, and put your arms over your head like someone would do after they won a big race or won a soccer game. And shout “I am f***cking amazing!” twenty times. With or without the expletive ;). And make sure you are belly breathing too! You might think that this is nerdy, but I assure you, you will set yourself up for a very successful session in the pool. And that’s all I have for you this week everyone! Let me know what you think and comment in the comment section below on what you’d like to see next week! If you’re finally ready to start making some real progress in the water, check out my good friend, Justin Patrick’s 7 Day Swim Program. I’ve given it my honest review below, check it out! Well, your techniques are really wonderful. I do believe in your techniques. I have started swimming little more than a month ago. I am 44 and was really enthusiastic when joined swimming but it didn’t go well as after paying in advance from coaching as well, they didn’t pay any heed. It was discouraging for me and my enthusiasm went down drastically but then I found Justin Patrick and started following him through his vedios. Now I can swim and even started breathing nicely in freestyle. Big thanks to Justin and Joanne Chan.